Last month, we got a battle between the Bat and a God but this month, it's a totally different ball game with "Captain America: Civil War". It's actually less than three weeks before civil war erupts and Marvel Studios has released three new video featurettes to help fans cope with the long wait. The second video “Brothers in Arms” features directors Joe and Anthony Russo along with star Chris Evans and Robert Downey Jr. talking about the appeal of “Civil War” and why it stands apart from superhero hero movies in general and the films we’ve seen in the Marvel Cinematic Universe. 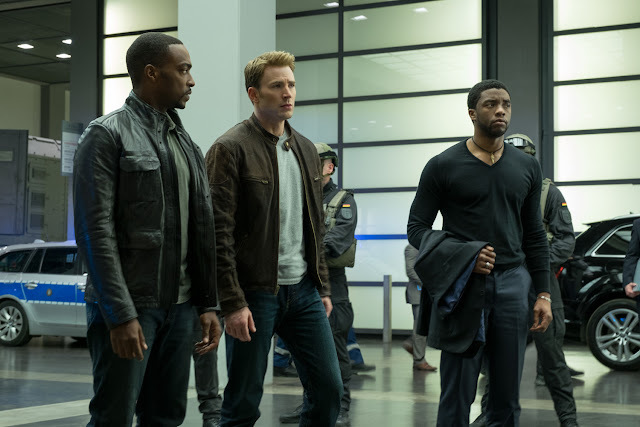 Get ready to pick a side and join the nonstop action playing out on two fronts when Marvel’s “Captain America: Civil War” opens across the Philippines on April 27. Marvel's “Captain America: Civil War” will be distributed by Walt Disney Studios Motion Pictures through Columbia Pictures.